This is a Standard Post option with no featured image. There is a checkbox option in the post editor that allows you to specify if that post will be ‘Featured’. If that box is checked, the styling in this section will be applied to the post box displayed on the ‘Masonry Post Format’ page template. Featured Post Background Color – Choose the color that will be used for the background of the post boxes of ‘Featured’ posts on the ‘Masonry Post Format’ page layout. This does not include headers/links. Featured Post Border Color – Choose the color that will be used for the 1px border of the post boxes of ‘Featured’ posts on the ‘Masonry Post Format’ page layout. This does not include headers/links. 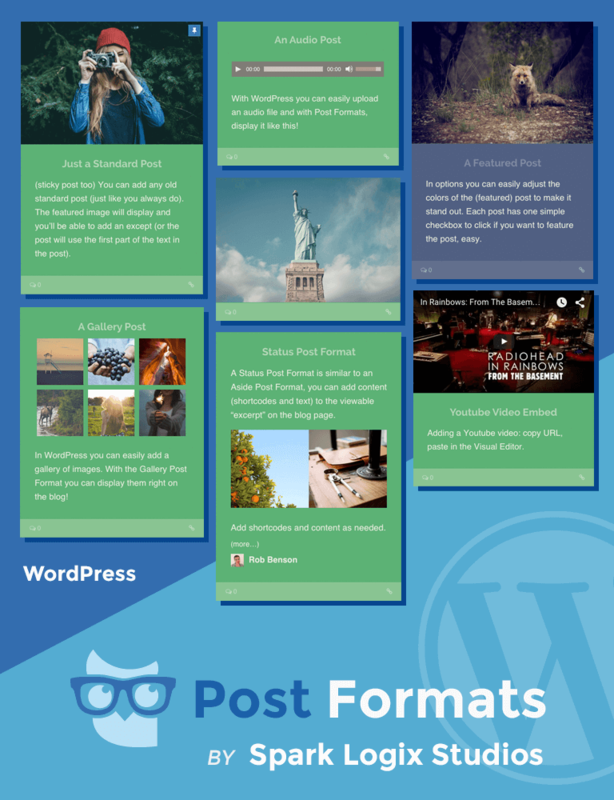 Featured Post Text Color – Color for all of the content text of ‘Featured’ posts on the ‘Masonry Post Format’ page layout. This does not include headers/links. 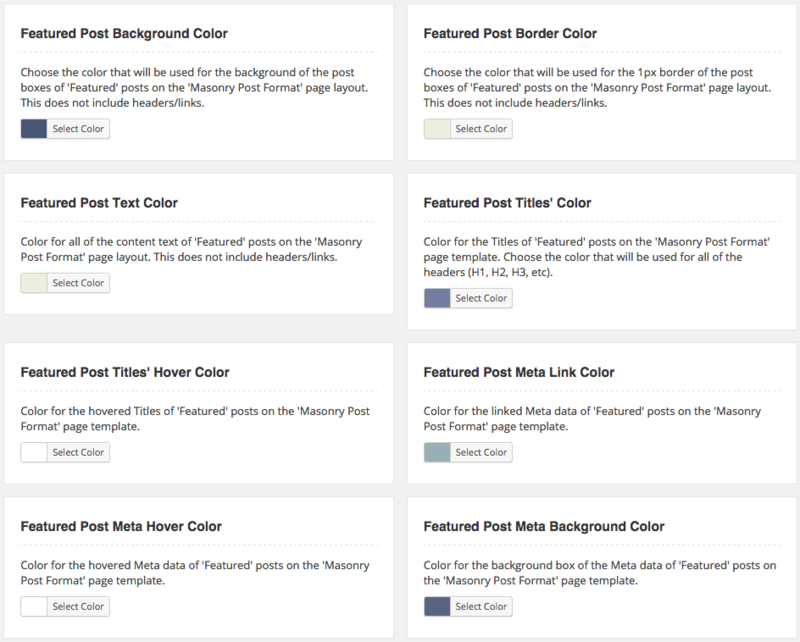 Featured Post Titles’ Color – Color for the Titles of ‘Featured’ posts on the ‘Masonry Post Format’ page template. Choose the color that will be used for all of the headers (H1, H2, H3, etc). Featured Post Titles’ Hover Color – Color for the hovered Titles of ‘Featured’ posts on the ‘Masonry Post Format’ page template. Featured Post Meta Link Color – Color for the linked Meta data of ‘Featured’ posts on the ‘Masonry Post Format’ page template. Featured Post Meta Hover Color – Color for the hovered Meta data of ‘Featured’ posts on the ‘Masonry Post Format’ page template. Featured Post Meta Background Color – Color for the background box of the Meta data of ‘Featured’ posts on the ‘Masonry Post Format’ page template.